Selling on Amazon means always keeping a finger on the pulse. For that, you have to track product competition regularly. For that, tracking competition regularly is essential. Several Amazon research tools can help satisfy this task. We decided to check a few popular ones for FBA sellers to see how useful they are. Why is it important to track product competition? Market competition is something that can skyrocket your business up to the top, or crush it down to the bottom. 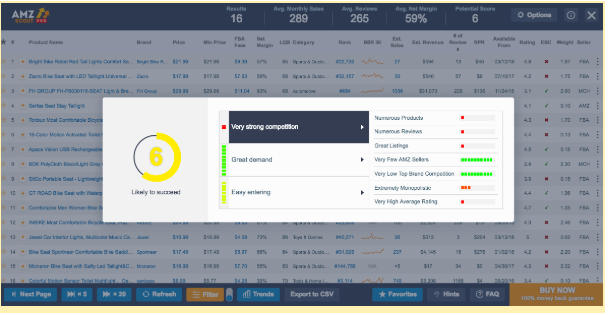 Tracking competition helps a seller understand why a competitor ranks higher. 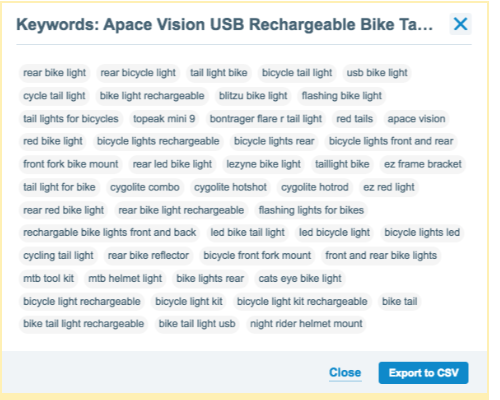 What keywords target better to maximize sales? What should you do to climb, or maintain, on top of rankings? Any FBA seller knows the process of tracking takes a lot of time. It’s complicity increases when a seller is trying to track several products. Complexity increases stress, and a lot of time. But, without doing it, your business will fail. There are many tools that help you to track competitors on Amazon. These tools can be web applications, plugins for Google Chrome, or software for Windows/MacOS that require installation. We tried few tools, including Jungle Scout, Sellics, AMZ Tracker, and AMZScout. 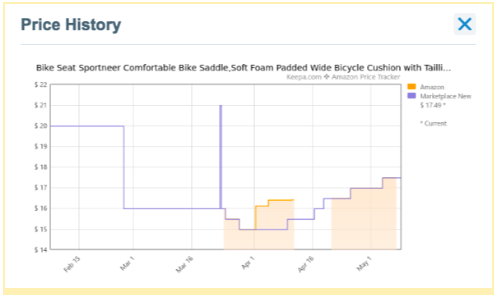 Product price is the first thing an Amazon seller should be interested in tracking since there are hundreds of discount offers available on other portals. This is essential especially if your strategy is centered around competing by price. Now, how do you track it? You can check competitors’ product pages daily and keep log of price changes. This is time consuming, and where many modern tools make it easier. Using tools like AMZScout, Sellics, Jungle Scout, and other tools to track competitor prices, make this process easier. In just a couple of clicks, you can receive descriptive graphics with prices. Thus, facilitating a seller’s ability to absorb data quickly. All the tools we tested could track product prices. So, there is no differential among what particular tool you choose to use. The second thing a seller needs to be aware of is competitor sales volume. Checking how many units a competitor sells every day is imperative when trying to plan inventory, expected sales, etc. Tracking sales is made easy with specialized Amazon product research tools. This feature is included in only some tools; such as AMZScout, Sellics, Jungle Scout and AMZTracker. Sales estimation is a complicated process because Amazon doesn’t share how many are sold. You can track sales using few different tools; comparing the data they provide or by selecting the one you find the most reliable. The tool most prefered for this task is AMZScout. Its developers have recently announced a new estimation sales algorithm, that delivers incredibly accurate estimates. Before deciding on your own product, it’s good to check niche competition. Is the niche profitable? Are there many sellers? How likely will my product succeed? To answer all questions sellers used to have to rely on their intuition. But today, FBA sellers can use a method of numerical analysis. For example, AMZScout presented a new comprehensive indicator called Potential Score. It is extremely easy to use such an indicator. It allows its user to check competition of a niche in just one click. This complete and integral indicator is not available in any other tool that we looked at. Jungle Scout’s opportunity score is similar, but isn’t as detailed and reliable. Spying on competitors’ keywords is must for running your own PPC-campaigns. Any existing Amazon seller will continue to test testing different keywords within title, the backend, and of course advertising keywords. AMZScout Chrome extension helps experiment with PPC as well as listing optimization. Keywords play a role in every aspect of selling on Amazon. There are certain tools made exclusively for keyword research. Some tools, for example AMZTracker, have a built-in keyword tracking feature. AMZScout extension has this feature as well. Keyword tracker delivers all the knowledge you need to take advantage! As shown above, there are many angles to take when tracking competition. Today, it’s much easier to do thanks to the various tools available. You can try out different tools, but according to our research, we’ve found one tool that can do it all. AMZScout tools allow you to track all aspects of product competition. That’s an amazing way to save you time and make decision making easy! How Can You Prevent Osteoporosis After Hysterectomy in Scottsdale?